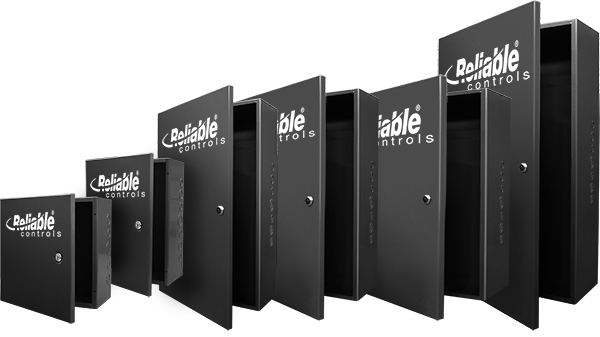 Reliable Controls offers five equipment enclosures that provide an economical, professional, and branded solution for control equipment protection. Purpose-built for the controls industry, the enclosures maximize the number of Reliable Controls devices that can be accommodated. The catalog sheet for our ENC series of enclosures have recently been updated. The catalog sheet includes a typical selection of controllers shown to scale. There are five available sizes. Hinged door with key lock. Visit www.reliablecontrols.com/ENC for more information.